We are entering a new era of search and data. According to BrightEdge research, data is expected to grow 4,300% by 2020. Today, it is estimated that 99% of data goes unanalyzed. This projected rise in data indicates that automation is critical to scale and accelerate search engine marketing efficiently. Jim believes that the use of AI applications like machine learning is critical in fueling continuous performance and allowing search marketers to scale their operations. With the help of AI, marketers can analyze more data and better understand the customer journey. According to BrightEdge research, 90% of consumers report that they use search at every stage of the customer journey. Companies who want to improve their customers’ experience must understand that it is crucial to present valuable results to their target market in the various steps of the customer journey. 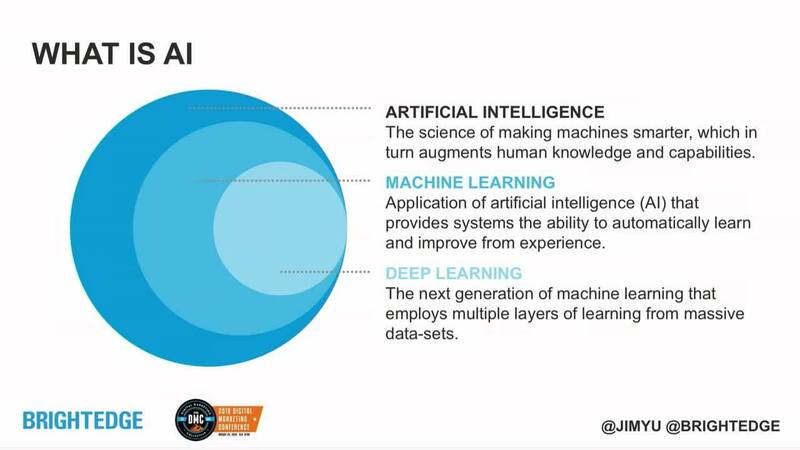 Jim Yu believes that Artificial Intelligence will be the 4th industrial revolution. AI can change the way we market to customers by making smarter and faster decisions to deliver compelling customer experiences that perform. PwC predicts that AI will add $15.7 trillion to Global GDP annually by the year 2030. This tremendous growth has led 75% of executives to say that AI will be “actively implemented” in companies within the next three years. However, Yu explained that AI will not replace marketers, but instead will complement people in their jobs. 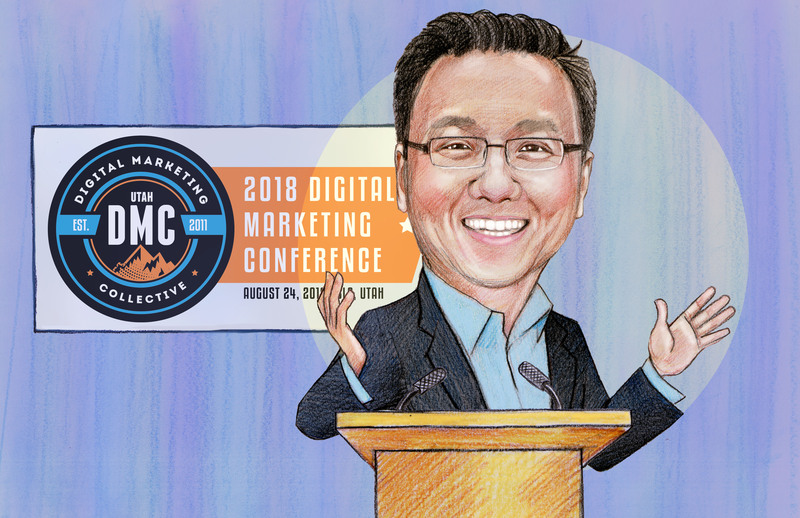 As a smart marketer, Yu encourages us to leverage AI to drive the convergence of content and SEO to boost performance. How is AI making such a huge impact on the industry and businesses all over the world? Simply put, AI can interpret, learn, and recommend faster and more precisely than humans. It interprets the meaning of pages it crawls while RankBrain helps Google interpret the intent of short queries. It then learns what users respond to and recommends relevant results. AI is becoming much more human-like in the way it interprets and suggests recommendations to its users. So what can we do as marketers to utilize AI? Jim Yu provides several tips on how we can move forward with gathering AI insights to use for our SEO strategies. These AI insights can help us complete market, site, and competitive analyses, as well as better understand customer intent. By better understanding customer intent, we can capture and satisfy customers by optimizing their experience through personalization. Personalization in SEM is important for pattern recognition, customer journey marketing, creating inspirational campaigns, and optimizing conversion rates. AI is here to revolutionize the way we market to customers. By complementing our work and analyzing faster and more thoroughly, we can create strategies that really resonate with customers. We are on the brink of better understanding the way customers search and interact with sites, allowing us to provide them with the information that they need to convert. So get familiar with the basics of AI and get started on your AI journey.